I'm going to be sharing with you the extra-terrestrial agenda that it's time you know about. This is something that I haven't shared in a while, but I think that it is time, so now I'm going to share it with you and I think that it will change your life. 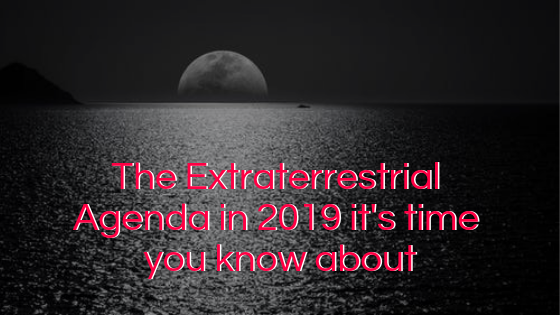 Today, I’m going to be sharing with you that have the extra-terrestrial agenda or the EET agenda that knowing will begin to change the way that you see the world, how you relate to the world, and how you even relate to what is called or what we call extra-terrestrials. First off, understand that there's been a lot of conditioning and in society, we are led to believe that ETS is bad. If you look at a lot of the movies, I remember when I was a kid, I think there's some like Martian movie that I watched, and it was a very scary movie. They're like laser beams and stuff, and it made it started to condition me to be afraid of what we call aliens or extra-terrestrials. However, what I eventually became aware of, and this was after I went through a spiritual awakening, I went through my spiritual awakening in 2012, and it totally changed my life. And then I started to go more inwards and as I went more inwards, I realized that this is something that we all are connected to. And that may sound a little bit out there, but these extraterrestrials that we view first off, most of them come from a higher level of consciousness and they don't all look like grapes. That's one race of what we could call it extra-terrestrials, but there are many, many of them that look human that you wouldn't really even know are different than us if you were to see them walking around. Some extra-terrestrials would just blend in perfectly. However, what has happened and what we're becoming aware of on the planet right now is our connection to the stars, our connection to different extraterrestrial races and understanding. But there's a purpose to why there's so much attention on earth right now. There's a purpose behind the whole entire process. There's a reason that we're conditioned from an early age to be afraid of aliens, to be afraid of extra-terrestrials, and because by doing so, it keeps us in a certain fear bubble. It keeps us in a certain reality where we don't really investigate it too much. But if you look to that of Egypt pyramids, a lot of the NASCAR landlines, for example, you look at a lot of different physical phenomena on the planet. There is some integration, some correlation with extraterrestrial contact as well. And it's about just being aware that this is something that's been happening for thousands and thousands of years. It's just that we're becoming more comfortable with this idea now. Here's the thing, and here's the thing to understand. Yes, some extraterrestrials don't have the best intentions at heart, and you could say that the last thousands and thousands of years on the planet, there's been a level of control because we believe that this is all there is in reality. We're led to believe that we just experienced reality through the five sentences. You know, we have to work a 40 hour a week job, which keeps us constantly busy so that there's very little time for us to look around and be like, well, what is reality really about to go within, you know, we just have a come to accept that level of control system. Even when you look to the financial system, however, it's just about being aware that yes, there's been a level of control on the planet. There's been some racist that don't have the best intention at heart that assists with that control. However, what's happening is that we're waking up as a society, we're waking up to who we really are and many, many, many of the extraterrestrials that are having an influence with us right now and that are helping us at different levels that we might not really understand and alcohol into that are doing. To help us wake up out of this dream of separation, out of this dream of stimulation to the census. The control system, we have a lot of the things the way the politics work, how it's just kind of a show of Republican and Democrat and keeping you in the system. Whether you're a for it or against it, you're putting thoughts into it, and it's keeping you distracted from the truth, the truth of who you really are. And the truth is you are any mortal, spiritual, been living a very temporary human experience. You've led most of your life and you've gone through most of your life through social conditioning, believing that this is just who you are and you experience reality through the five senses and it keeps you distracted from going within because everything is so externally focused. However, what's happening right now is your awareness of you putting back more within. Go within yourself, see if what I'm going to be sharing with you today even resonates with you. But here is what happened and here is why so many people are here on the planet right now. It is because there is an agenda going on. There is an awakening going on. There is a quickening of vibration going on and you wanted to be a part of it. You came here for this party, you came here to be a part of this. And yes, certain challenges are coming because when you incarnated on earth, you forget who you are. You forget that you are in the mortal spiritual being, living in a temporary human experience. And because you forget that you go through the pain and pain of it, identifying with it until you go through what is called the spiritual awakening, which is where you then begin to go within. And as you go within, you find out more and more about yourself. Spiritual awakening is when you start to wake up from the dream of separation. You realize that your body is a form of Avatar. However, it does not just who you are. You will use it as a vehicle while in this life, however, you're a spiritual being having this temporary human experience. Okay, so knowing that, so let's look at it like that. You at a greater level are being a spiritual being that cannot be put into just one body. You have such a vastness that's hard to even comprehend. With that being said, looking, knowing that you are more than your physical body, that your energy, your higher self, whatever you want to call it, is so much vaster than can be fit into one human body. When it comes to you thinking about being an immortal, spiritual being, do you think you would have only incarnated ever on one planet on this Earth Planet? What'd you only have incarnated ever on this one plan and over and over and over again? No, you have been and had incarnations on many, many, many different planets, many of them human. You still look human, but also ones where you may not look so human. However, it's about being aware that you have many, many, many different kinds of experiences and because you've had many, many different types of experiences, you have this depth to you. And this helps with this process. And I understand that a lot of these different experiences are in higher dimensional states of consciousness where you feel unconditional love and bliss and the majority of the time where you have abilities beyond what you have in the third dimension, 3 or 4D reality is very slow. There's time, space, reality. There's a beginning, a middle and an end and higher dimensional states of consciousness, things happen much faster. You think it and it appears so that's who you really actually are. That's your natural and reality that you have more lives and experiences there than you do here. Cause this is one of the slowest. It places the places that you, we go to his 3D reality. However, we're waking up from that dream. Here's what happened back in, we could say the 1940s 1930s there were nuclear bombs that went off. When a nuclear bomb goes off, it affects our planet, but it also affects many other planets in real systems because we're all connected. There's a cosmic web that connects everyone. The thing with earth is that there's a veil of forgetfulness and at the same time that there is a veil of forgetfulness. There is free will. We as a society have free will. I'll talk more about that in a minute as well. And because we have free will, we can do what we want to ourselves as a society or a collective consciousness. But when it starts to affect other planetary systems, that's when there is divine intervention. And by the divine, I mean extra-terrestrial intervention as well, where there is an influence to change that because it's not allowed for us to affect the other reality systems, especially with something like a nuclear bomb. In that time, there was a call that was put out to the universe that said, I need help. It was mother Gaia herself. The planets themselves are actually entities, and we are the sales on Gaia. And that call was put out and many, many millions and billions of souls heard the call, and many of us chilling and higher dimensions and stuff with our homeys heard the call and we said, I have to go back to earth. Earth needs my help because you've had other times that you've been here before or you have a soft spot in your heart for the earth as well. Maybe at times in Lantis times, maybe you had lifetimes back in the Mayan Times, however, you have some type of connection to her and do you knew as well there'd be the shift in consciousness happening on the planet. The shift in consciousness that was going from that have been 3 or 4D reality and all 4 or 5D reality. You knew that which means that they're, you're able to churn and burn so much Karma because you're raising your vibration and we're becoming aware of this so you knew there'd be an also an expansive amount of growth that could happen. 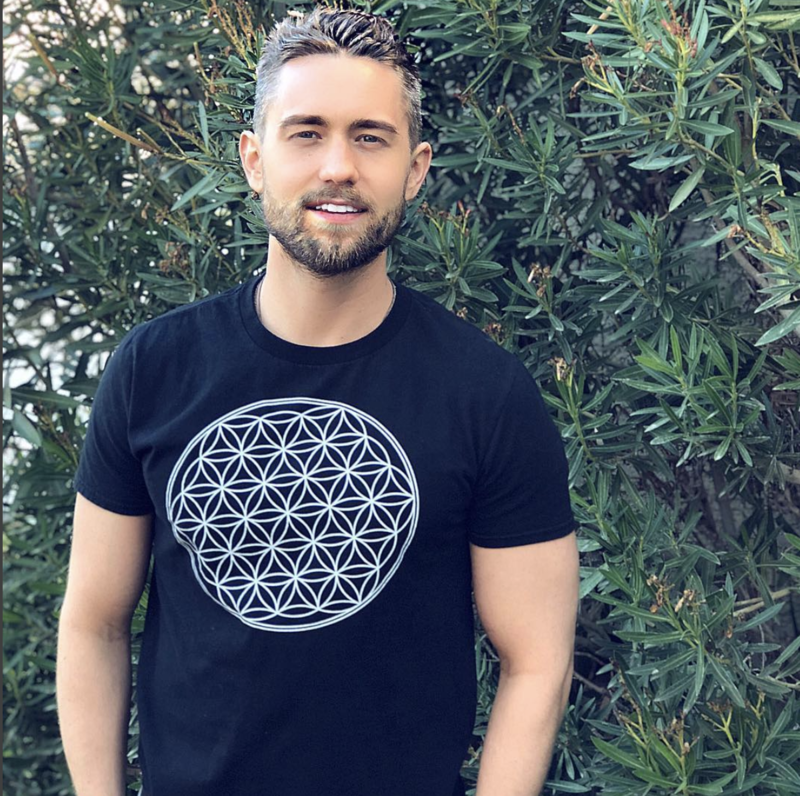 However, what we decided to do as star Steven as lightworkers are incarnate into the system knowing we were going to have to forget who we are, we were going to have to forget to who we are because that is part of the reality system. Wouldn't it be easy if we could just have these aliens, ETS land, give us technology and then let's go out about our Marion date? Well, there's that free will that we talked about and us as a society have to decide this together, but we don't do it from influencing, not on the outside. We do it from incarnated within the system itself and then going through the challenges of waking up and if you're here right now, then you're going through the process of awakening and by waking up to it, we then affected even more powerfully so by every single one of us waking up. We're influencing the system from the inside and now that has to do with part of this agenda because you see the ETS that we are so fascinated by that we think all they have all these really cool abilities and they do all this cool stuff. You are connected to them. They may be future versions of you. They may be other aspects of you. Many of the spiritual guides that you think are angels, they may be angels, but they may also be extra-terrestrial connections you have. They may be parallel reality version of you. You see, this is the EET agenda. The agenda is to help the planet awaken so that we don't go on a negative timeline up destroying ourselves. That call that was put out, we heard it, we came in, and we're taking our power back from the control system that has had control for thousands of years. The back government, then whatever kind of negative extraterrestrial races I've had influenced the lower 4D reality. D a racist. But you see what we're doing is we're becoming aware of it and we're taking our power back and it is happening right now on the planet as we speak and will continue to happen as well. There's a form of a spiritual renaissance happening on the planet right now. More and more people are waking up to who they are, and as every single person wakes up, it changes the collective consciousness. When we look at this extraterrestrial agenda, understand that most of them are of that have a positive source. They are connected to us and they are more compassionate. They're of a higher dimensional state of consciousness, which means they understand that we're all connected. Why would they hurt us when we are them? I don't mean this just in the metaphorical, we're all one, which is actually quite literally the way it is. However, I mean at the same time, many of these versions that we may be directly connecting to our us. What we have done as many of us have come from future versions of US incarnated into this system to be a part of here for this transformation on the planet because never before on the planet has so many people woken up in a body and ascended to a higher vibrational state of consciousness. There had been societies before like the Mayans which we're able to raise their vibratory frequency and then go into a higher dimensional state of existence, but they did it in a smaller amount of people and they did it and left physically. We're doing this in the body, and we're doing it physically, transmuting ourselves together. We're all going through this right now. You see, the truth is these extraterrestrials that you look to our other aspects of you at a deeper level, you have abilities and higher dimensions you can barely even imagine. And the extra-terrestrial agenda is that we as a society begin to wake up and when you go to bed every single night, you don't know this or maybe you do. When you go to bed at night and you shed your physical body, you leave your physical body, you're awake in your astral body and your other higher dimensional bodies. And in those realms, you have a direct and more streamlined connection to these ITI races, these ITI connections, whether it be the Syrians, the pleadings, the Arcturians, the Andromeda and all these different names. And there are many, many, many different others that we don't our as pop culture names, but just know that this is a show on the planet right now and there are thousands and thousands of extraterrestrial races that are watching from right outside our planet watching us, seeing how we do, assisting us in the process, helping us to go through this process, helping heal the planet. We're doing this together, but you see there's free will here, so they're not just other beans helping us. There are other aspects of our own soul helping us. They're the future versions of us that have come here now to help with this process and right now on the planet, we're waking up more and more and as time goes on, it's going to be an amazing, as the most potent time, most important time to be on the planet than ever before. There's more transformation that can happen in a short amount of time than ever before on the planet. The EET agenda is to help us awaken. Let me share with you something pretty exciting. A lot of the information I'm sharing with you today has been from years and years of research, and you can find Dolores Cannon's books. Dolores Cannon was a hypnotherapist for 30 to 40 years. She'd get people to the deepest levels of brainwave activity and then be able to ask them questions. Their higher selves would come through. The people that she was putting under into hypnosis, their higher selves would come through and she could ask them any questions you want. She may ask them, why did you incarnate at this time? Who is your dad in this life and what was your relationship with them and why did you have this happen and this happened? And here's the one consistent thing that she heard from thousands and thousands of people. We came here right now to be a part of this shift in consciousness. We came here right now because now is the time of awakening. This is something that so many people said all over the world, different people that did not know each other. It was the same type of message cause us as a soul. We came here because we knew it'd be the time of awakening. Dolores Cannon is very popular, is a very powerful resource. Very powerful resource. He's been saying for 2030 years that the highest degree of probability window of us having extraterrestrial contact is between the time of 2025 to 2033 seems a little bit far away, but at the same time, it's going to come up very fast. Does not mean that extra-terrestrials land the next day. And it's something that's put on CNN and Fox News. That's what I, that's my feeling about it. Maybe it is more grandiose than it is this huge thing where every, you know, popularized everywhere. However, I think at first it will be a little bit slower, but these higher dimensional beans come from a high dimensional state of consciousness. And when we were to come and if, and when we come into their energy field, we start to feel them or you know, we, we get close to them unless we integrate ourselves, it's going to bring up within us everything that hasn't already been integrated. Cause that's how it works. Think about in terms of vibrational resonance. The key is to work through this stuff now over the next especially five, six years so that we are ready for it. Otherwise, what will happen is as they were walking up to us, we'd be feeling all of these things come up because they're so integrated. It'd be pulling us to integrate ourselves and if we weren't integrated, all of this negative emotion would come up and we would think that negative emotions them, and we would be afraid of them when really it's just something that we're working to ourselves. We have to do the work now, so that is the highest degree of probability window at that time. There's a lot that has to happen before then. The main idea is that they are waiting for us. It is not that, yes, it'd be great if you guys just landed, but they are waiting for our cue there waiting for us as a collective consciousness to be ready for it. When we're ready for it, it will happen, but we have to point the focus inwards. When are we ready as a society? Go within yourself and heal yourself. Complete the patterns of the past. Look to raising your own vibration. Look to ways of elevating your consciousness because as you do so in old, trickle out to everyone in your life, and it will cause this ripple effect. It is happening right now on the planet, but just on that, this is all part of the process. And the more that you embrace this, the more that you raise your own vibration and the more you are changing the planet and the more we can then have ITI contact. Extraterrestrial contact is really just another way. It's another version of us. Many times there a higher dimensional state of consciousness. They have unconditional love for us. They have nothing but the best for us. And they're here to help. Yes, there's lower vibrational once, but they're being phased out there being less relevant because we're raising our vibration has a planet to a higher state of consciousness, to a heart-based state of consciousness. And it's happening right now on the planet. This is something that resonates with you. Can you comment below? Let me know. Say you're ready for it or you're going to raise your vibration so that you have this kind of contact. Let me know what you think of this kind of video before, below, if you liked it, let me know. I'll do more like this as well. I know it's a little bit more esoteric, but I'm excited to share these things with you. Also, I have a meditation that will help you to raise your vibration and it helps to help to raise your vibration, right? Your vibrational set point, so as you remain in that state, you'll also pick up on more information out on this as well.